Mission Statement It is the mission of the Sedona Parks and Recreation Department to provide diverse year round leisure opportunities through the preservation of open space, park settings, recreational facilities and recreation programs for citizens, visitors and future generations of Sedona. Services and Projects Community events. Refer to city website for more detailed information. This new event is a venue for hobbiests and emerging artists to showcase their work and sell their wares. All forms of art are welcome whether it be photography and painting, pottery and jewelry making, or poetry and dancing. All age artists are welcome to participate. For only $10 per artist, you will receive a 12'x12' space on the grass to set up your display. Vendors must provide their own, tables, chairs and tents. Spectators will enjoy spending a beautiful day out in the park while shopping or browsing over the local art. Hope to see you there. Join us for one of our most popular events. 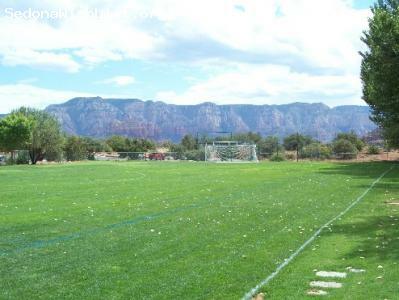 Sedona Parks and Recreation is pleased to offer to our community and visitors the opportunity to camp at beautiful Sunset Park! 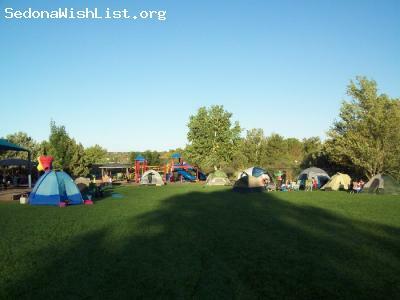 Join us for a night of camping under the stars, creative crafts, telescope star viewing, and group yoga in the morning. This event is great for first time campers as well as seasoned campers that want to enjoy camping close to home and learning about camping safety. So much is included in the small $15 registration fee. Set up your tent at 5:00 p.m. and be ready to grill hotdogs at 6:00 p.m. When the stars come out, the Astronomers of the Verde Valley will be on site with telescopes for you to use! Join other campers around the bonfire and enjoy roasting some s’mores provided by Parks and Recreation. 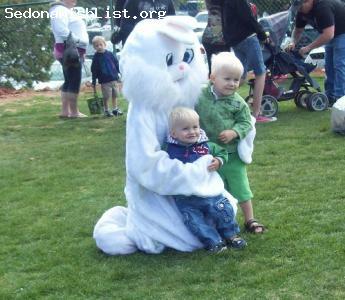 Wake early for a continental breakfast at 7:00 a.m. and a childs yoga class at 8:00 a.m. Adults and children over 8 may enjoy the guided 1 1/4 mile hike on Bandit Trail. The Park Rangers will point out the natural, geologic and cultural features along the trail and provide plenty of rest stops and opportunities to ask questions. Hikers must carry water and have proper hiking shoes to join in. This might be your only chance to camp in a City park, so don’t miss out. There is a maximum of 30 tents allowed at this event. You must register for this event ahead of time. The registration deadline is May 30, 2012. Please contact the Parks and Recreation Department at (928) 282-7098 or 102 Roadrunner Drive in Sedona to register for this event. 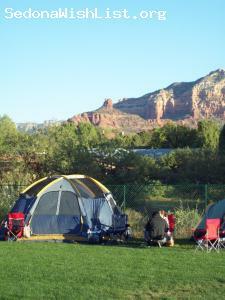 The City of Sedona Parks and Recreation is hosting the Community Campout June 1-2 at Sunset Park in Sedona. Come join us as we camp out in the City park! We will provide weenies and marshmallows for roasting, a campfire, complimentary continental breakfast, childs yoga and an adult guided hike! Register by May 30 at City Hall, 102 Roadrunner Drive, Sedona or by calling (928) 282-7098. Volunteers Needed for Celebration of Spring!